Once installed into the tyre, SLIME remains a liquid- evenly coating the inside. When a puncture occurs, the escaping air forces SLIME into the hole where it creates a long lasting, flexible plug. 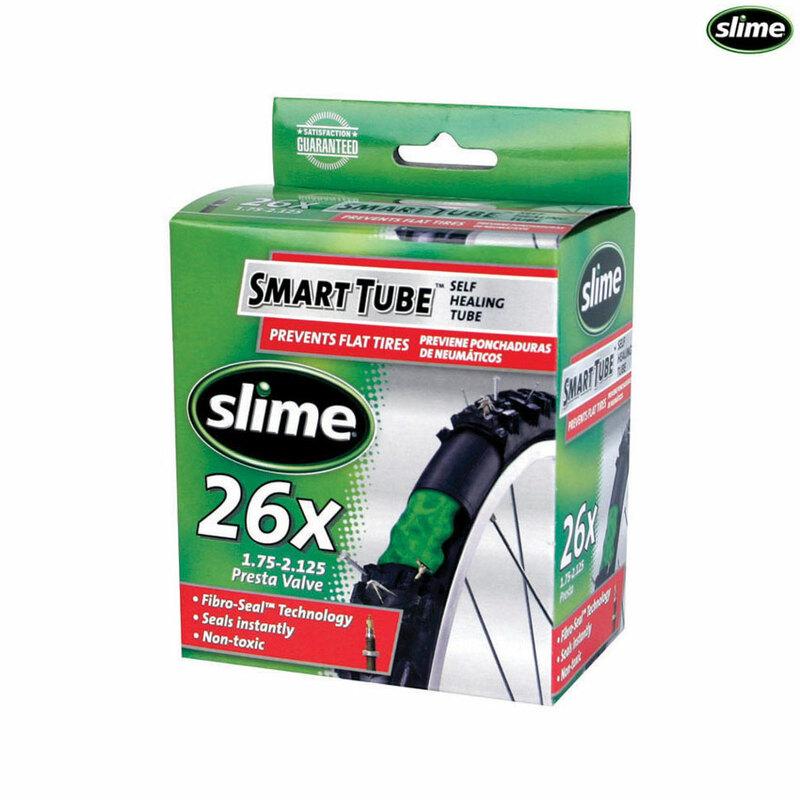 Instantly seals punctures in the tread area up to 1/8"
far with little or no "fuss"
The valve on this Slime inner tube is 50mm in length.